NEW YORK -- Apple is officially jumping into the home speaker market. 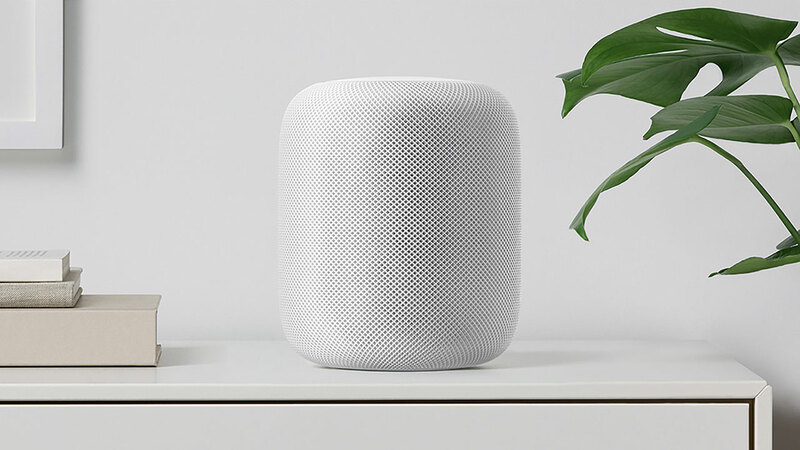 It unveiled HomePod, a new 7-inch tall speaker for playing music, checking the news and controlling other connected devices in the home. The device was previewed on stage Monday at WWDC, Apple's annual developer conference in San Jose. The device is covered in black or white mesh and looks like the top of a microphone. Inside there are 7 tweeters, six microphones and an A8 chip -- the same chip inside the iPhone. The HomePod will go on sale later this year and costs $349. Phil Schiller, Apple's SVP of worldwide marketing, said on stage that the product has been in the works for "years." But the product seems directly inspired by existing smart speakers from Amazon and Google. Schiller said devices like the Amazon Echo have poor sound quality, and wifi speakers like Sonos don't have interactive voice assistants. HomePod includes Siri voice integration and will function as a "home assistant," according to Schiller. But Apple was careful to frame it as a product focused on music first -- potentially differentiating it from the Echo and Home. It has "spatial awareness" to detect where it's located a room and adjust the sound accordingly. It can do the usual list of tasks we've come to expect from smart speakers, though it appears to have minimal third-party integration. It can play music from Apple Music, tell you the news, do unit conversions, send messages, schedule reminders, set timers, translate, check stocks, answer trivia questions, and tell you what the traffic is like. The price is quite a jump from Google's $129 Home and Amazon's $180 full-sized Echo. The increased price is to cover the improved sound technology, according to Apple. Like the Home and Echo, the HomePod's microphones are always listening for the trigger phrase. When you say "Hey Siri," it starts listening for your command or question. Apple said all communications are encrypted. It starts shipping later this year in the U.S., U.K. and Australia. It will be available in other countries next year.